In a time of extreme unprecedented global recession, a historic vision in domestic politics, and a time of more spiritual awareness, over 70 million Generation Y members will be embarking on the next level of maturity as they enter or grow in the professional workforce. This group of 15 to 28 year olds born between 1979 and 1994 brings a new mindset much different from the baby boomers and Generation X community. There is also a level of pessimism and cynicism that has engulfed this generation due to major world events that have shaped their thinking. Some of the key major events that have shaped the thought process in this generation are 9/11, Terrorism, The Iraqi War, OJ Simpson Trial, Columbine, Waco, YouTube, dot.com rise and bust, the death of Princess Diana, IPods and IPhones, SARS, Y2K and the Monica Lewinsky scandal. Yet this does not diminish the strong value in family, heroism and spirituality that has grown with this generation. 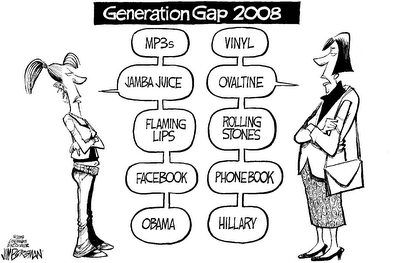 The unemployment rate for Generation Y is also more dire than the rest of the workforce. In December, 2008, the unemployment rate for workers under 29 is at 11 percent versus 9 percent in December, 2007. For workers ages 16-19, the rate is near 20 percent. For workers age 30 and above the rate is still under 7 percent. Now the playing field is even. They have core skill sets focused on modern technology that are essential to our needs. They possess value added talents in analytics, mathematics, statistics, programming and finance. The business community struggles to find less quantity and more quality. Now the true dichotomy comes together. Now that we understand Generation Y, what are they demanding from us: the employer and how we can balance our needs with their core talents? Given the economic climate, the need for young fresh innovative talent and the growing concerns about job security, we must now develop talent acquisition strategies that will secure the most ideal talent to help grow your organization in an era of rebuilding and restructuring corporate cultures and services. Stay connected: Networking is the most powerful tool we have in a growing global society. We are still in early stages of developing professional networking tools among the Generation Y population. The differentiation between social networking and professional networking is still in its infantile stages. 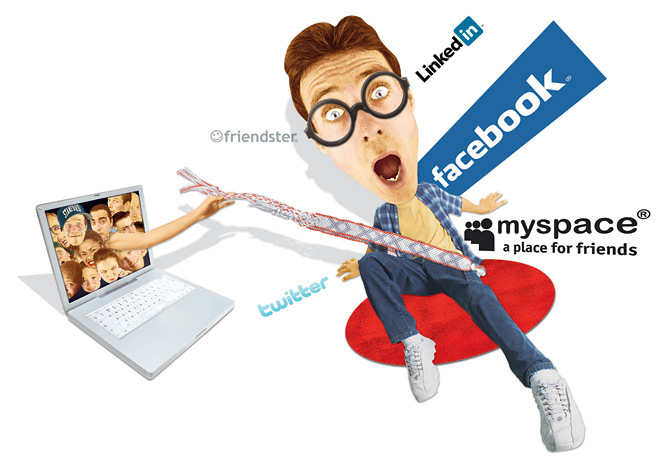 Facebook, Myspace and Ning are common web terms to Gen-Y but Linkedin, InMobile.com, and Sermo.com are less common web sites. Our goal in Talent Acquisition Sourcing is to integrate social networking outreach with professional network connections. Include the Family: It is important to understand how important family is in the decision making process of young professionals. Parents are role models and very influential in assisting their children with important life decisions such as career choices. The US Army recently developed a marketing campaign reaching out to the parents and not just the child. They understand the importance of parents in the Talent Acquisition process. Respect the need for work life balance: Perhaps this may be one of the most difficult requests to adhere to but we must try to be cognizant of the need for flexible work schedules, extra vacation and home work to provide employees with more quality family time. Listen to the candidates: In a virtual web-based society, the personal connection can be lost. Connect with the candidates. Talk to them in person or via phone and listen to their needs. Ask them what they want. Surprisingly many young professionals know exactly what they want. Develop communities around their interests: Seek out candidates in diversity groups, athletic organizations, fraternity/sorority communities, internship networks and special interest networks. Find a common ground to establish strong long term relationships. Market the technology: Understand your technology strengths, global presence and innovative services and products and ensure that you market those to the Generation Y community. Be creative: There are many sourcing tools in today’s market. Some are good, some are bad. Some yield high volume and some high quality. Do your research, don’t be afraid to pioneer something new and don’t be afraid to fail. The bottom line is that this is not a cut and dry formula but a guideline of strategic suggestions to help shape and mold your sourcing strategy for the present and future. Each organization, whether you are a small niche company or a global Fortune 500, will have to integrate your strategy into your mission, core values and company culture. We all have similar goals and those are to provide complete customer satisfaction, become a financially stable and growth oriented organization and maintain the highest levels of morale and ethical standing in the professional community. Together as technology and business come together we must continue to share knowledge and best practices and ensure that understand the changing demographics of the professional community. As we understand the needs of the new generation of worker, we will ultimately modify our way of sourcing, recruiting and company culture and operating processes.